Sally Susman, EVP and chief corporate affairs officer at Pfizer, and PRWeek U.S.' In-House Pro of the Past 20 Years, looks back at two decades in corporate affairs. Being recognized as PRWeek’s top in-house professional of the past two decades got me thinking: How has the practice of corporate affairs changed in the past 20 years? When I graduated college in the 1980s, today’s corporate affairs field didn’t exist. It’s been an incredible journey since then. Here are five ways corporate affairs has changed – and two ways it hasn’t – since 1998. We now have a front-row seat. While we once struggled for a seat, we’ve now worked our way to the head of the table. Corporate affairs moved from being an ancillary support role to having a permanent position in the C-suite. And corporate reputation, once an afterthought, is now a critical consideration in determining shareholder value. We went from propagandists to influencers. Because today’s consumers are better informed and expect more from the companies they patronize, corporate affairs is no longer confined to just driving the message. Today, the typical CMO is asked for input well before new policies or products are finalized. We’re expected to get ahead of any issues that may arise. Crisis management; more important than ever. Thanks to the internet, a small spark can quickly become a raging wildfire, provoking radical shifts in public perception and threatening the bonds of trust every business depends on. More than ever, corporate affairs is the first line of reputational defense and must be prepared to respond nimbly and effectively. Digital now dominates. Professionals can no longer opt-out of digital and must develop social media mastery. At Pfizer, I’ve built my own leadership platform, using LinkedIn and Instagram, to strengthen my voice on behalf of the company. We’ve also established a robust "activation" function to create and disseminate our content through our own channels. There is complexity overload. Yes, it’s harder to see the forest for the trees. But the ability to see the bigger picture is what got you here in the first place. In an increasingly volatile world, maintaining a holistic view makes you a better partner to the business and your CEO. Talent is still everything. Discovering, developing and retaining talent has always been a priority. The profession understands the value of well-rounded individuals who are liberal arts graduates, journalists, lawyers and others who’ve apprenticed in traditional occupations. Our role as counselors requires us to remember that media we use are a means, not an end. The basics remain the basics. While technology and skill sets evolve, the fundamental rules of sound communications don’t. Anticipate. Know your audiences. Be proactive. Write clearly. Promote openness. Tell the truth. Never use the premium we put on speed as an excuse for shortcuts. It’s been a joy to make my career alongside such talented, courageous and creative individuals. There’s no better time than now to work in Corporate Affairs. I look forward to the next 20 years. 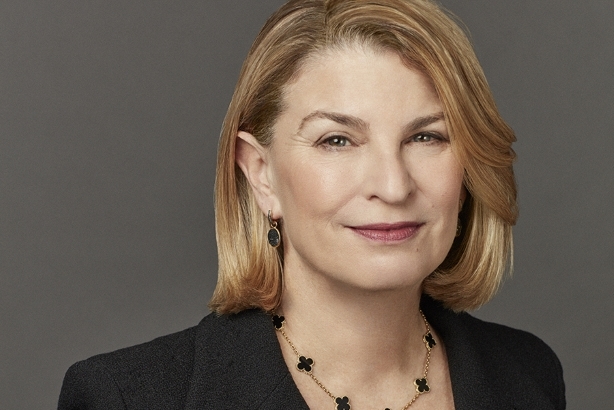 Sally Susman is Executive Vice President and Chief Corporate Affairs Officer for Pfizer Inc.